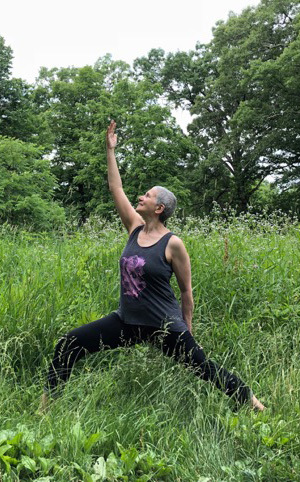 Sally Delmerico (ERYT Yoga Alliance) teaches Yoga at numerous yoga studios throughout the Hudson Valley. A certified teacher, she has continued her training at Kripalu Center for Wellness and Health in Massachusetts. Sally is also a certified Les Mills instructor in Body Flow incorporating yoga, tai chi, and Pilates. She holds a brown belt in Aikido and has been a student of the martial art for 10 years. She is also certified by Aerobics and Fitness Association of America / NASM as a group fitness instructor. Sally is certified to teach Silver Sneakers Yoga, as well as Silver Sneakers Classic, Circuit, and Boom classes. Her Yoga classes provide a peaceful atmosphere to allow the body, mind, and spirit to rejuvenate itself.